The 2018 edition of the Longines Global Champions Tour of Mexico City is officially open, following a press conference with Jan Tops, Founder and President of LGCT, Francisco Pasquel - President of LGCT Mexico City, Horacio de la Vega - Director of Sports, Mexico City and Mexico's local superstar rider, Nicolas Pizarro. Speaking ahead of the first day of competition, Jan said; "I'm very proud - every year I'm excited and can't wait for the season to start. It's a great atmosphere here." 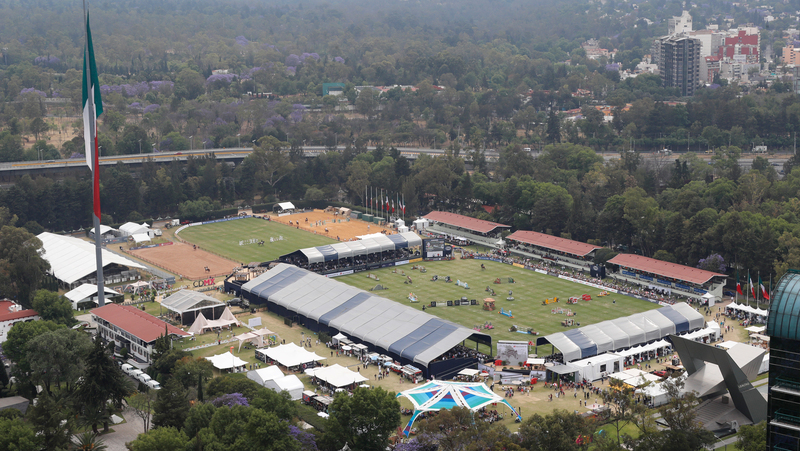 With the Campo Marte situated in the heart of Mexico City, the event welcomes passionate spectators and many new fans, witnessing show jumping at the highest level for the first time. Horacio de la Vega, Director of Sports for Mexico City agreed: "All the atmosphere this event brings to the people, the families is great. It's going to be a great event [again] this year." Local hero, Nicolas spoke of the calibre of competition this weekend, and just why the Campo Marte is so special, "It's a great venue - when you have the best riders and the best horses, you have to have the best of everything." Mexico City was introduced to the LGCT calendar line up in 2016, and has been a fantastic addition to the global line up. Francisco said: "Jan is a magician, he's looking in the future always. What he has done with the Global - he has changed our sport." Talking about the 20,000 spectators who have visited in former years, Francisco said: "The crowd here [in Mexico City] are incredible - they shout, they cry, they clap - it's very emotional." The 2018 season is go!